Today we celebrate mothers across the world. Every journey a little bit different, but we are all bonded together because of the love of a mother and a child. Thank you for allowing me to share my most memorable Mother’s Day with you. Our journey began April 8, 2013, when we were blessed with the birth of our son Gideon Van Thompson after ten years of prayer. One year later, April 30, 2014 my perfect, 12 month old baby boy was diagnosed with a Brain Cancer. He was immediately rushed to the Pediatric intensive care unit at Children’s Hospital of the King’s Daughter’s where he would undergo three brain surgeries. Gideon was placed in a medically induced coma while his tiny body healed from the trauma. It was during this week my son would have a ventilator breath for him, a feeding tube provide nutrients to his body and medications and monitors would sustain his life. His body began to shut down. He could not maintain his body temperature, blood pressure or vitals. I didn’t know if I would ever see his beautiful blue eyes again. I didn’t know if he would survive. As a mother, I do not know if there are words to describe the hopelessness I felt. The staff encouraged me to go home to rest daily, but I never left his side. I slept in a chair in his room for 33 days while Gideon recovered in the PICU. He would undergo two additional surgeries, transfusions and six months of chemotherapy treatments. Mother’s Day May 11, 2014, is one of the most memorable days of my life. I have never felt so much love and relief in all of the days of my life. Gideon turned a corner. His blood pressure, vitals, and temperature all returned to normal. I held my baby for the first time in a week. We cherished every single moment that day. This is the day my baby opened his eyes. This is such a simple and normal function that most would not even think twice about, but this was an answer to prayer. I pray this Mother’s Day we can all take a moment to celebrate life. Take a moment to encourage, inspire and bless others. Adipsy has been that encouragement and inspiration to our family. Christy McCloud shared her personal experiences with cancer and how her life was impacted through her journey. Our family was so inspired by her willingness to share her story. For the first time, we knew we were not alone. We knew we wanted to follow in Christy’s footsteps and share our journey too. Many cancer families feel isolated from friends and family. Many do not have a support system. I understand the hopelessness they feel. 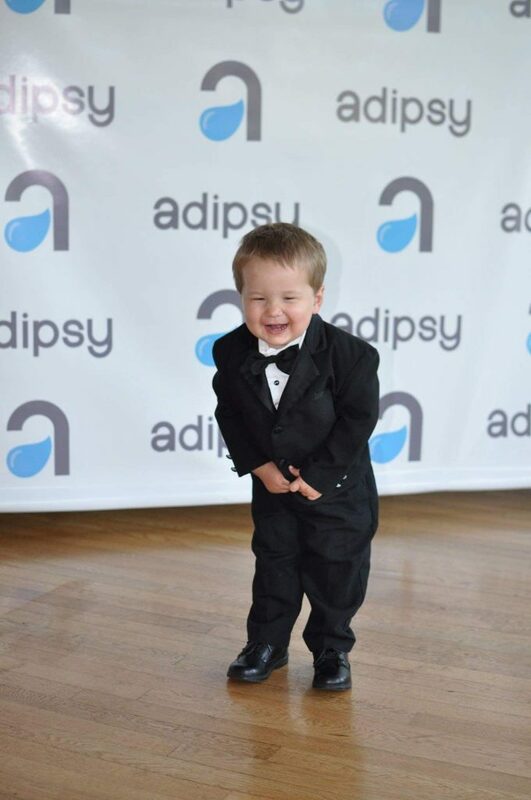 Adipsy is here to help provide the support through their homes of hope and numerous fun family outings. Families are able to take time to celebrate life and forget about transfusions, surgeries, and chemotherapy treatments and focus on time together. Thank you Adipsy for providing our family with moments we will cherish forever.